If youre in business, big or small, youll be entering into contracts with customers, suppliers and others on a day-to- day basis and they dont have to be in writing for them to be binding on you. In most cases (hopefully) all will go smoothly. Inevitably, however, there will be some cases where things dont go according to plan, and the parties will need to concentrate their minds on the terms of the arrangement. At that point, its generally too late to change them if you find out you dont like them. If you want to dodge those contractual bullets we regard as avoidable, you need to do two things. Firstly, you need to establish your own terms of trade and make sure they are incorporated into your business transactions. Secondly, you need to consider carefully any terms of trade which you are offered by any third parties and be sure that they dont present you with a bombshell. What kind of nasty surprises? A good example of this is where youre offered a standard form contract which requires you to assume liability, not only for your own negligence, but also for the negligence of the other party to the contract, and to arrange liability insurance to cover any damages or loss arising from that negligence. If youre reading this and the warning light is yet to assume a reddish glow, then you need to read on. Your liability insurance (assuming you have this) will almost certainly not cover you for liability that you assume for someone elses negligence under a contract such as this. In most cases, you would need to obtain a special extension to your policy from your insurer to cover this event. That assumes your insurer would agree to cover it and you can afford the extra premium. The most likely outcome is that you (or your insurer) would decide it was too hard to get cover for this risk. If you did not pick up on this issue and you signed the agreement in haste then you would be in a very poor position. You would be liable for any loss or damage to others arising from the other partys negligence and you would have no claim against that other party and most likely no claim on your liability insurance.What if I am already thereIf you already have agreements with customers and suppliers in which you agree to waive rights of recovery against them or to hold them harmless from anything they do or supply in terms of their agreement with you, then you need to tell your insurers. Your insurer relies on its rights of recovery from others if it settles your insurance claim for loss or damages causedby someone else. Thats the right of subrogation. You have a duty to preserve this right which will generally be a condition of your policy of insurance. If you agree to waive those rights of recovery for any third party and you dont tell your insurer, it may decline your claim for cover because you have without its knowledge prevented them from making a recovery from careless customers or suppliers. If youre in business, be sure to have your own terms of trade and make sure they apply to all relevant transactions. If you are offered terms which require you to either insure against or waive any claim for someone elses negligence,dont sign up; get advice. If you are already in a contract which has these terms included, tell your insurance company fast.We can help you with the first two points. When it comes to the last point, youre in the hands of fate and your insurance company for the time being. Some businesses are still on thin ice for not recognising the need to comply with correct processes to discipline their employees. More often than not they fall into the personal grievance claim trap. We give some advice to employers on how to stay out of trouble. A personal grievance (PG) is a type of claim brought against an employer by one of its employees. The Employment Relations Act 2000 sets out the legal grounds for this. Ultimately a PG is used in order to get a remedy (usually cold hard cash) from the employer for breaches of the employees rights.  PG claims can be brought for several reasons and are more often than not brought about because of poor (or non-existent) disciplinary and dismissal processes. The Act spells out your duties as an employer. You need to act in good faith at all times. Whilst that may seem an airy-fairy concept, breach of good faith can have some distinctly adverse repercussions. Essentially good faith means you need to be open and direct at all times and clear in the way youre dealing with your employees. You also need to ensure your employees understand what is going on and know they can get support or assistance from a third party, such as a friend, lawyer or relative. Failing to discipline properly may also give rise to a PG from another employee, such as the victim of bullying for failing to provide a healthy workplace. What process should be followed? You need to follow a carefully managed procedure when going through a disciplinary situation. Often employers want to talk with their lawyers early to make sure they dont inadvertently mess it up. In general you should be open, clear, allow breaks, allow time for responses, consider all responses thoroughly and provide clear reasons for any decisions that are made. This applies to verbal warnings right through to a set of meetings for a dismissal. Its always important that if your employees job is on the line that that is made clear to them and they have time to respond to any accusations. Encouraging them to have a support person is commonplace, and telling them they can have one is an absolute must. If youre handling your disciplinary procedures in-house make sure you dont expect a dismissal to be all over in a day. You cannot pre-judge an issue or an outcome of any procedure. That would be seen as predetermination which clearly shows there was no fair procedure in place. You need to ensure that you not only get the process right but also the actual decision correct. For example: is this misconduct actually serious misconduct? It is worthwhile checking whether their employment contract allows for suspensions or requires any other specific process while you investigate an issue. What if I dont the most I need to pay out is three months wages, right? No. If you just sack your employee then you risk serious orders against you if they raise a PG. The Employment Relations Authority may make compensation awards against you for hurt and humiliation. If youre particularly callous in your processes then this should be expected. You can also have your employees legal costs awarded against you. Some employers think that employees on low wages cannot afford to hire a lawyer and, often, they would be right. However, to raise a PG they dont actually need one. Employees often hire one of the many non-lawyer employment advocates many of whom offer a no win, no fee arrangement which attracts cash-strapped employees. Aside from the financial costs, if you value your other employees you may find that your reputation as an employer is tarnished by a successful PG claim. Employers gain poor reputations quickly and it may take years to regain that reputation. Be wise, and go by the book when you have to go through a disciplinary procedure. Those involved in offering proportionate ownership schemes for property should be aware of a significant move recently taken by the Financial Markets Authority (FMA). Until now, an exemption notice (the Securities Act (Real Property Proportionate Ownership Schemes) Exemption Notice 2002) permitted interests in syndicated property investments to be offered with a relatively simple offerors statement and property valuation.The exemption notice expired on 30 September and hasnt been renewed. The FMA concluded that no substantial exemptions from the usual rules in the Securities Act 1978 are justified or required for proportionate ownership schemes. Transitional arrangements enable offers that have been made on or before 30 September to be completed under the old exemption notice. For any new offers, however, syndicators will need to prepare a full form prospectus and investment statement in relation to any offer, and appoint a statutory supervisor to perform certain duties to assist in looking after investors interests. When a company goes into liquidation, the liquidator has the power to obtain documents and information from any people having knowledge of the affairs of the company. This power is conferred on the liquidator by s261 of the Companies Act 1993. The power enables a liquidator to obtain information from a wide range of people, including the companys directors, former directors, shareholders, promoters, employees, receivers, accountants, auditors, lawyers and bank officers. A liquidator can also seek information from the companys creditors who may, for example, hold relevant information as to the manner in which a debt was discharged or treated by the company in liquidation. Notice under s261 is typically provided by letter from the liquidator. The notice must be specific and exact as to what documents are required. If you are served with a s261 Notice its important to act promptly. If you dont comply you are actually committing an offence and could be liable, on conviction, to a stiff penalty. If youre looking to expand your business across the Tasman, do be mindful of the obligations on foreign businesses operating in Australia.New Zealand registered companies that intend to carry on business in Australia must register with the Australian Securities and Investments Commission (ASIC) and comply with applicable laws and regulations, including the Corporations Act 2001 (regarding foreign companies). Whether your company is, or will be, carrying on business in Australia is a question of fact and you will require specialist advice. For example, in particular circumstances, if you appoint a selling agent in Australia then you could be considered to be carrying on business. Your New Zealand business will need to decide the business structure through which it wants to operate in Australia, and you need to be aware of the laws and regulations that will apply to your business when its operating there.This is particularly relevant when youre employing Australian resident workers. In a recent Australian case1 a company was fined AUD$10,000 (in addition to being liable for significant payments for accrued leave entitlements and interest) where the court found that five insurance sales representatives engaged as independent contractors were in fact employees in accordance with Australian law. While Australia may present an attractive opportunity if youre looking to expand your New Zealand operation, you do need to pay close attention to whats required and get appropriate advice before embarking on a move across the ditch.